As you are, you might have encountered with a file called PKPASS, and you want to know how to open such file, then you are at the right place. But first, let me enlighten you what PKPASS is? PKPASS is actually an Apple Wallet file used for saving boarding passes, coupons, loyalty cards, movie tickets, and other passes. It may contain a pass provided by vendors (Airline Companies or Starbucks). So, the file you have received in your mail as PKPASS File actually contains your Boarding pass or any digital signature of the vendor. Don’t worry. There are several ways on how to open PKPASS file extension in all your devices, like iOS and Android phone, PC or Mac. Opening PKPASS File on iPhone and iPad is elementary. 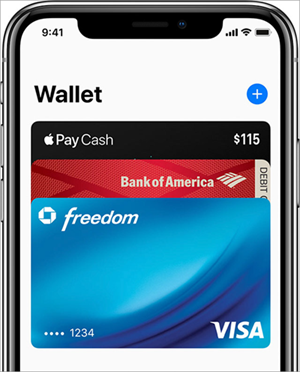 There is an in-built app in your iOS device named Apple Wallet (Wallet for short, formerly Apple Passbook), this app lets you open and views the PKPASS file. All you have to do is simply download that PKPASS file in your mail, and when you tap on that file, it will be loaded and opened in Apple Wallet (Wallet). For your convenience, you can add that file to the app, so you don’t have to open the mail every time you want to see it. There is no built-in app comes with an Android which let you open PKPASS file, but it’s still easy. Just download an app called PassWallet from Google Play Store for free. 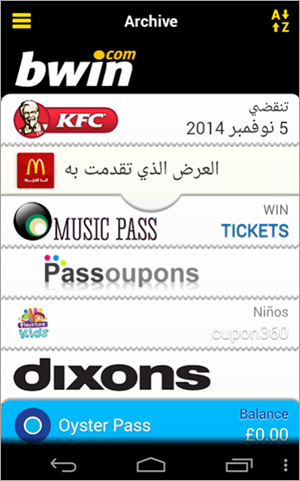 The app will collect all your Passbook / Apple Wallet (.pkpass files) tickets & coupons. Now tap to open .pkpass file with the PassWallet app, and then you can easily access it from your Android devices. Alternatively, some mobile manufacturers may have built Wallet app in their smartphones, so users don’t need to install third-party apps. If you want to open PKPASS files on Windows PC, then it’s actually simpler than doing it in a phone. There are two ways to open PKPASS file in PC. First, as PKPASS is a compressed archive just like .zip and .rar, so you can rename it with .zip or.rar extension, then you will get access to the contained information by extracting the file. Second, if you find the first method a little complex, then you can also use install Wallet apps from Microsoft Store, which will let you access and view all the PKPASS files on your PC for free or with a little cost. Sometimes it is inevitable to lose files as important as PKPASS file, but the same, don’t be sad. We can easily recover deleted files on computer with a good file recovery software. Just remember to conduct data recovery as soon as possible. Similarly, in order to open and view PKPASS files on your Mac, you need to download and install a tool on your Mac device. To open PKPASS file on Mac, you need to use iPhone Emulator. The iPhone emulator is built into Xcode for Mac, so you need to download and install Xcode on your Mac, and then you will be able to view the PKPASS files on your Mac. Now you don’t have to worry about what to do when you are at the airport and receive a PKPASS file of your tickets. You can open them on every device at your disposal. We’d love to hear from you if this tutorial helps you.